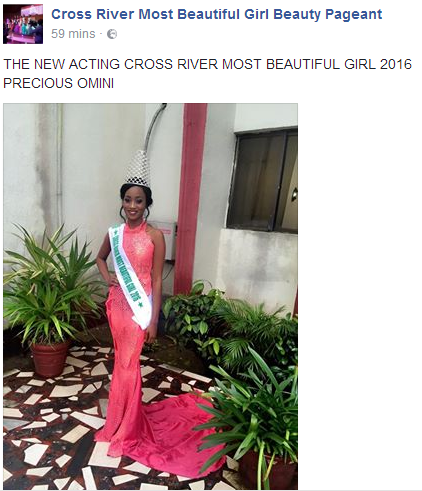 The management of the Cross River state Most Beautiful Girl pageant have announced Precious Omini(above), as the acting Cross River Most Beautiful Girl 2016. Her appointment comes four days after Victoria Ana who is originally the Cross Rivers Most Beautiful Girl 2016 was suspended from office. 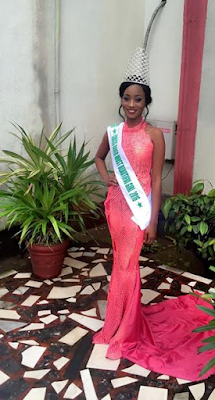 Victoria Ana was suspended for her lackadaisical attitude and for behaving in a manner not suitable for her position which has painted the title Cross River Most Beautiful Girl in negative limelight Ana has since denied the allegations.